The Regina Board of Education Trustees were elected by the public ratepayers of the City of Regina for a four-year term on October 26, 2016. Trustees are (l to r): Dr. Jane Ekong (Subdivision 1); Tanya Foster (Subdivision 5); Jay Kasperski (Subdivision 7); Katherine Gagne (Subdivision 6); Aleana Young (Subdivision 2); Adam Hicks (Subdivision 3); and Cindy Anderson (Subdivision 4). 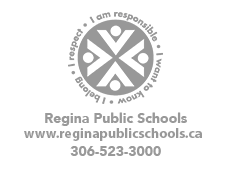 The Organizational Meeting of the Regina Board of Education was held on November 6, 2018, at 5:30 PM. At that meeting, Katherine Gagne was elected Chair and Adam Hicks was elected Vice-Chair of the Board of Education. Dates of Board meetings for 2018-2019 were also determined at that time.